Michael Craughwell with the Rebellion Sword. 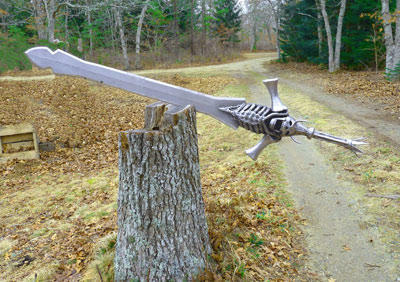 Michael Craughwell's Rebellion Sword, from the game Devil May Cry. 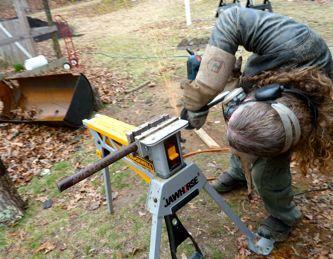 Michael Craughwell is a welder. He was born in Galway, Ireland, but now lives in West Tisbury with his wife, a Martha’s Vineyard native, and their two small children. 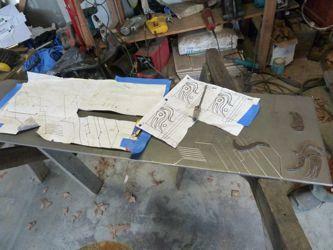 For our series Creative Life, Steve Junker paid him a visit. 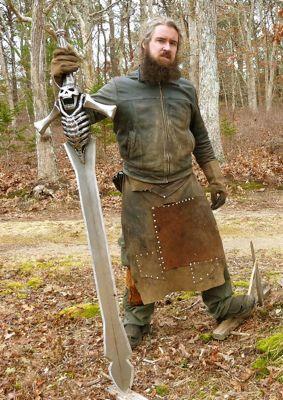 Above: listen to the story and scroll through photos of Michael Craughwell and his giant swords. Below: the video that launched it all. Watch more of Michael Craughwell's sword-wielding movies on YouTube. This story originally aired in January , 2013. Every summer for nineteen years, young men from around the country have come to Cape Cod to sing a capella in The Hyannis Sound. The group is a creative collaborative. 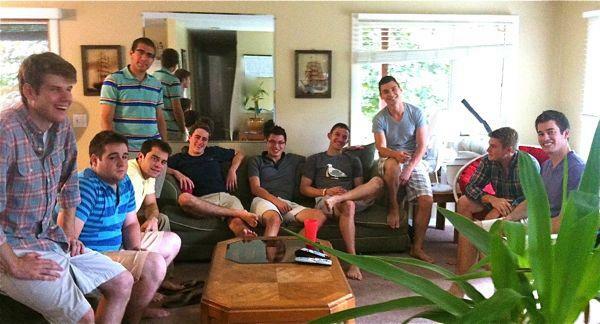 Not only do they create music and perform together - they all live in the same house. Steve Junker reports. On Nantucket, Larry Cronin is using frogs, snails, plants, and stone to recreate the enchantment of French impressionism. 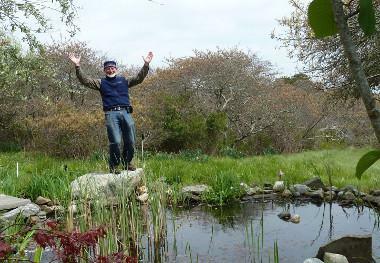 To find out about Larry Cronin's Nantucket Water Garden Tour, "Designing with Nature in Mind," scheduled for July 28, contact Nantucket Island School of Design and The Arts. Harwich artist Greta Ribb is inspired by her surroundings, but her art is not typical. 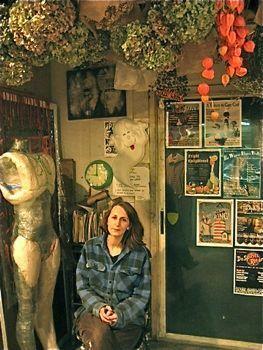 Erin Cisewski follows Greta into an offbeat and lesser known Cape art scene. This piece comes from production partners Atlantic Public Media, through their media training program, The Transom Story Workshop in Woods Hole. Find out more.